This is a picture that I painted of my three little monkeys. I loved the picture because it captures all three of them with a smile. 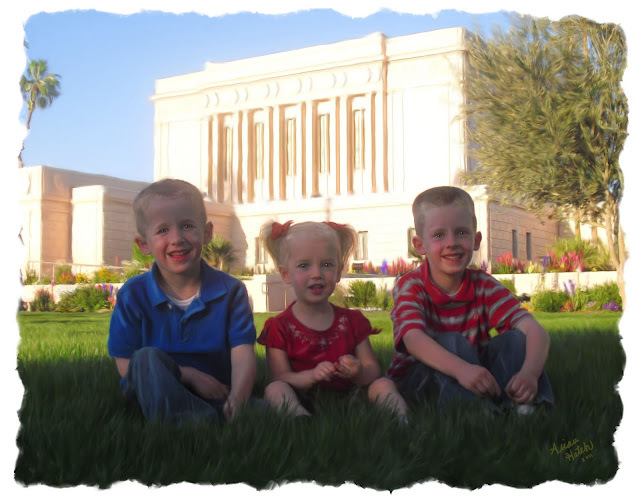 The LDS Mesa Temple is in the background. I ended up painting it and giving it as a present to my parents and in-laws. Love my monkeys!